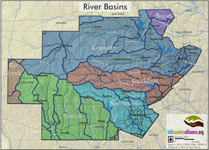 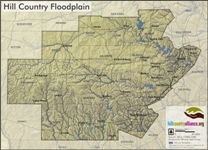 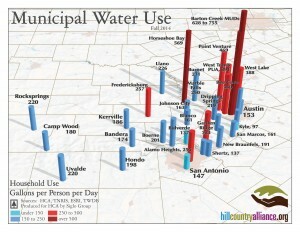 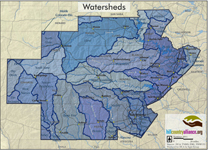 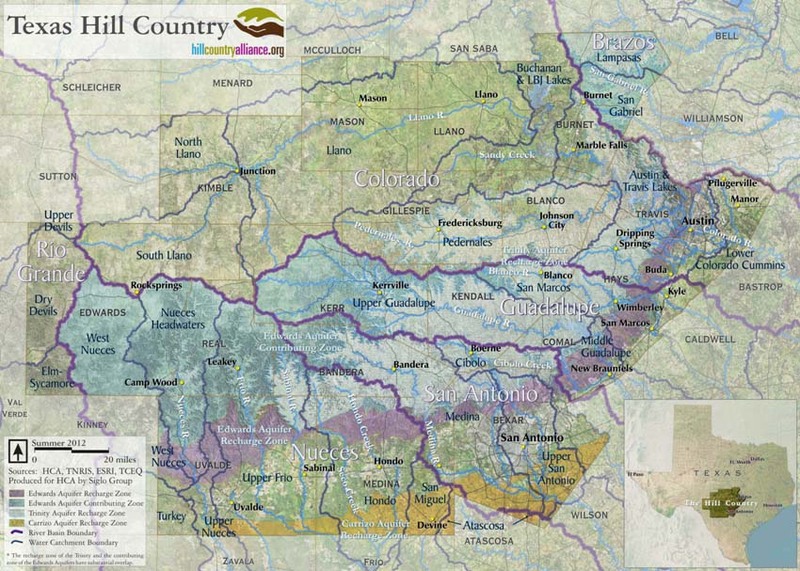 A map of various Hill Country communities and their water use on a gallons per person per day scale. 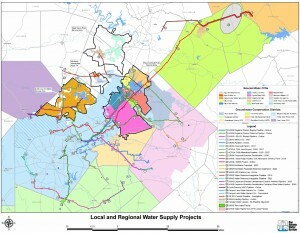 Note that the Texas Water Development Board recommends a 140 gallons per person per day goal. 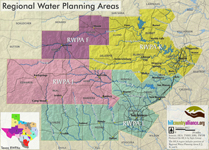 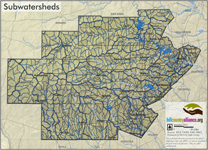 Map of proposed and existing water transmission pipelines across the Hill Country. 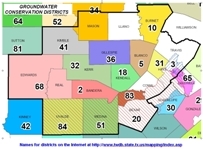 Information compiled by the “Land Trends” project and based on tax information collected by the state comptrollers office regarding the value of land per acre in each school district. 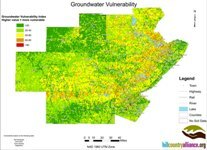 The three maps include: 1) value per acre in 1997, 2) value per acre in 2007, and 3) percentage change in value from 1997 to 2007. 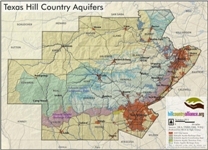 The maps show substantial gains in land values with the higher values reaching further into the interior of the Hill Country. 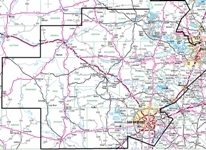 Many land valued doubled and tripled in value and some areas even quadrupled in value. 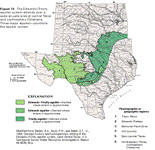 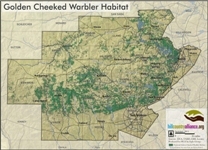 Data taken from Texas State Assessment of Forest Resources Draft 26 Sept 2008. 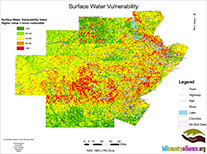 Data layer uses available data to project likely development patterns into the future. 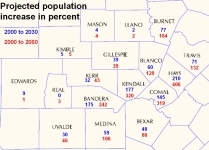 Data used for the evaluation included projected population growth and current land use patterns. 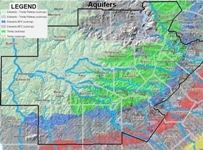 The study covered the entire Southearstern United States and looked at per decade growth from 2010 to 2100. 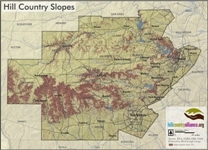 The Hill Country Night Skies map set is a set of 6 maps showing the evening light intensity of the Hill Country in 1992, 1995, 2000, and 2010. 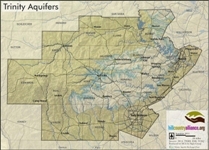 The final map shows the change in intensity from 1992 to 2010. 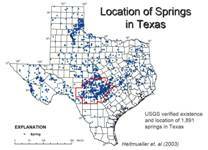 Data collected by the National Oceanic and Atmospheric Administration. 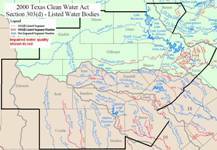 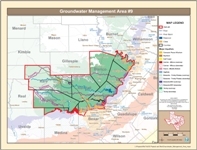 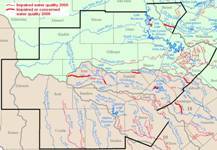 There are 16 Groundwater Management Areas in Texas. 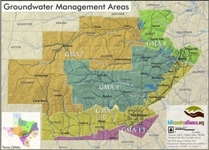 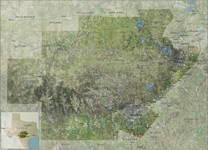 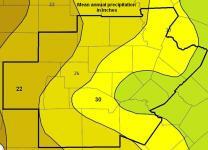 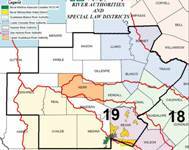 All of GMA 9 is located in the Texas Hill Country as well as parts of GMA 7, 8 and 10. 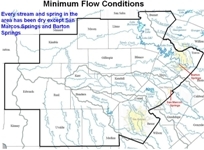 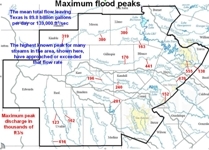 Represents minimum flow conditions for Hill Country Streams. 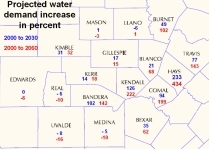 Every stream and spring in the area has been dry except San Marcos Springs and Barton Springs.